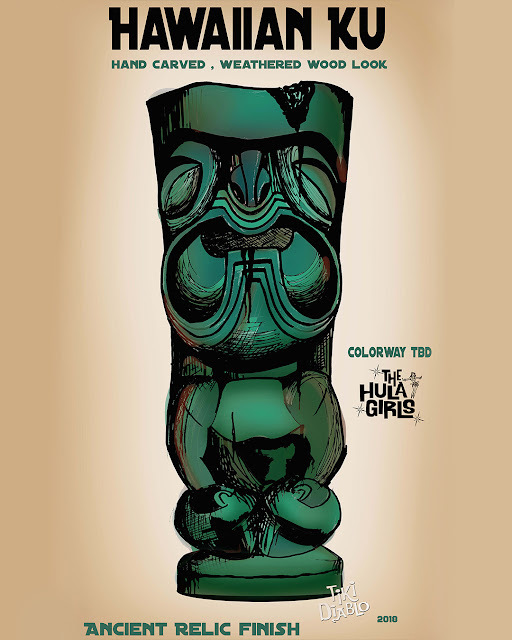 The Hula Girls' TEN YEAR ANNIVERSARY TIKI MUG! We are rapidly approaching The Hula Girls' Ten Year Anniversary! Our first custom tiki mug! Edition of 150/ Limit one per customer. LIMIT TO ONE PER CUSTOMER (unless otherwise approved by Spike). In order to curb price gouging on EBay, any orders that contain more than one mug order will be refunded. We want the first 150 of our fans to each have an opportunity to get a mug. Order here at 10am, Pacific, on 9/10/18! 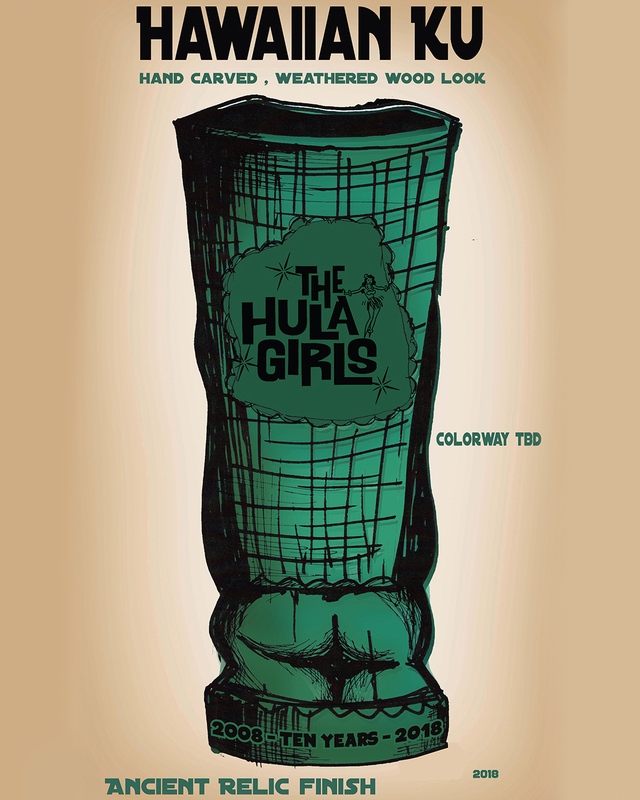 And The Hula Girls' most recent show (September, 2018)! What a difference a decade makes!! One Night – Three Acts! 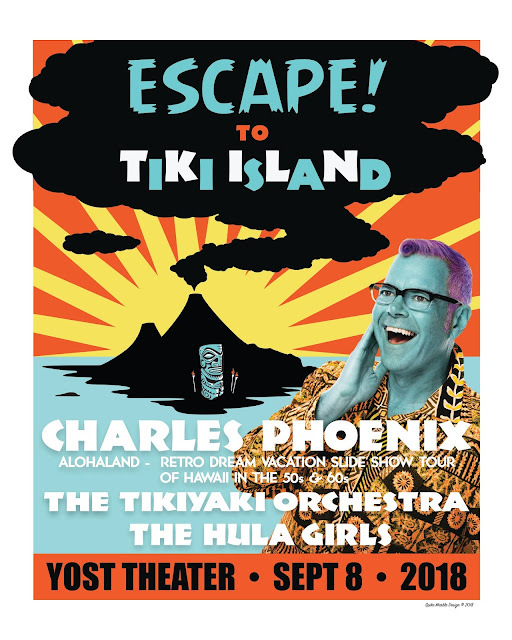 Prepare to swept away by a typhoon of tiki sounds an style on this very special one night only experience of island style tunes, vintage Hawaiiana, and dancing girls at the historic Yost Theater in Santa Ana. 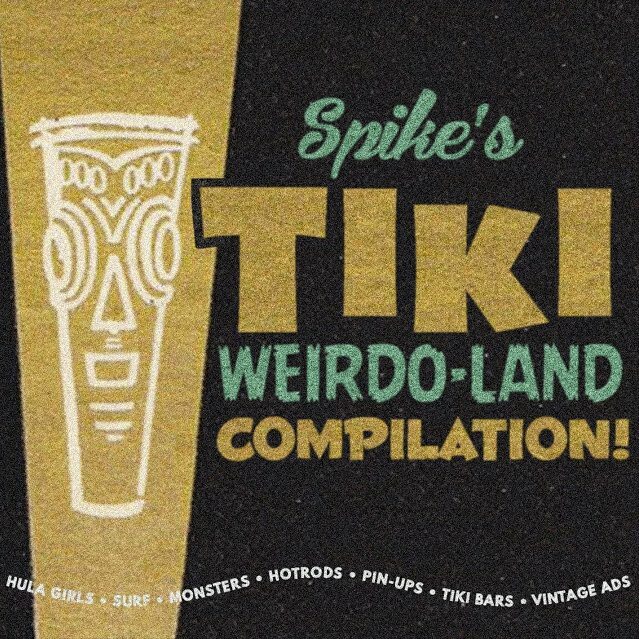 Tiki attire is encouraged! Doors open at 6:30. Adult beverages are available! Charles Phoenix: Alohaland is a live comedy slide show extravaganza of vintage Kodachrome slides, taken by tourists “dream vacationing” in Hawaii in the 50s & 60s. Your island living spirit will soar! 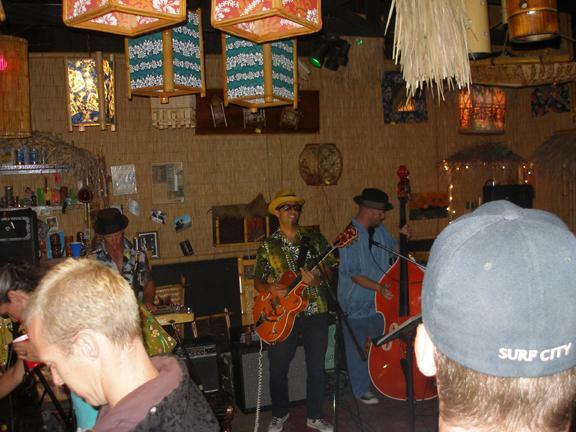 The Tikiyaki Orchestra, a 6-piece orchestra led by composer Jim Bacchi, pulls many different musical food groups into the mix – Bachelor Pad Lounge, Crime Jazz, Surf, Spaghetti Western, Latin and Hawaiian music. 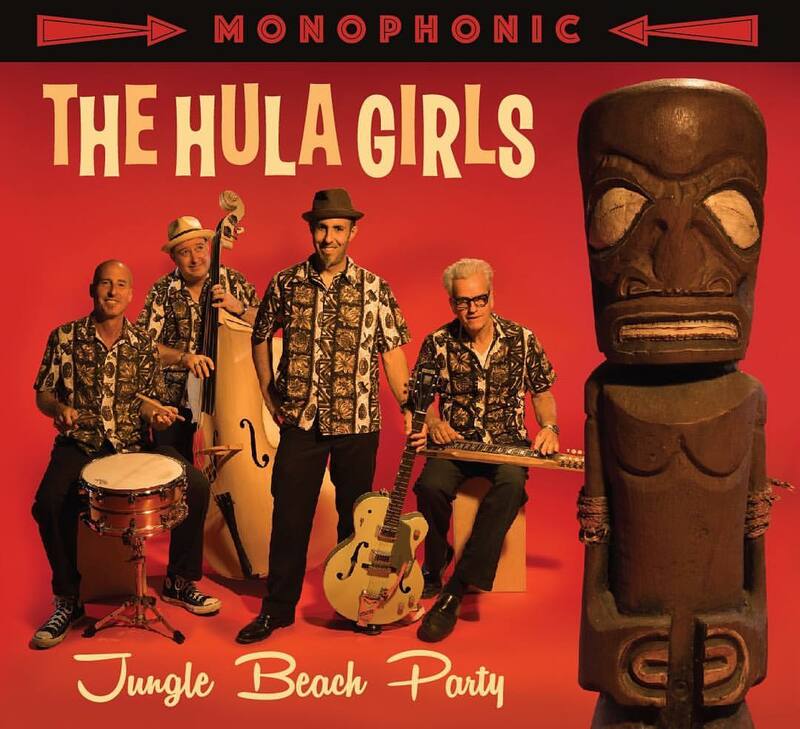 The Hula Girls’sound, self-described as “hulabilly.” An up-tempo hapa haole, tiki and surf themed music, with a late 1950s/early 60s rockabilly and rock n’ roll sound. Hula-a-go-go dancers, Miss Haylee Holiday and Miss Veronica Velvet will perform during their set.